As Columbus’ dental experts, we take pride in the fact that we help patients across Ohio achieve their perfect smiles. As is often the case, a perfect smile may be as easy to acquire as getting a cosmetic bonding procedure. Very simply, cosmetic bonding is the process of applying a top layer of plastic or resin to teeth. This plastic will act as the new layer of enamel for the patient, protecting the tooth and improving their smile. The process for cosmetic bonding only takes a few steps but they must be done with absolute precision to achieve optimal results. 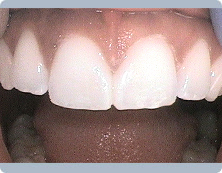 For the cosmetic bonding of a single tooth, the dentist must first remove a small amount of the top layer of the tooth. This will allow the new plastic to attach more permanently to the tooth. After that, the plastic is applied to the tooth. Once a good amount of plastic is on the tooth, the dentist will begin shaping it to match the other teeth. After the bonding matches the patient’s other teeth, the plastic will be hardened with a UV light permanently to the tooth. After that, the plastic is applied to the tooth. Once a good amount of plastic is on the tooth, the dentist will begin shaping it to match the other teeth. After the bonding matches the patient’s other teeth, the plastic will be hardened with a UV light. What can cosmetic bonding help repair? Because a cosmetic bonding is uniquely crafted for each individual patient, it has near limitless applications. 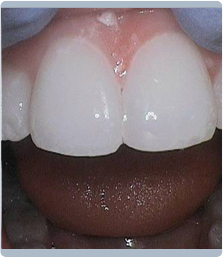 It can match any tooth in color so it can be used to augment discolored teeth. Since it can be applied to any part of the tooth, cosmetic bonding has been used to repair cracked, chipped, or decayed teeth. As it is only a thin layer applied to the top of a tooth, cosmetic bonding requires little to no anesthesia as it causes little to no pain. 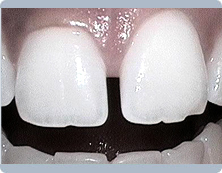 Much like porcelain veneers, cosmetic bonding can be used to dramatically improve the appearance of teeth. The plastic can be formed into any shape so it can even be used to fill gaps in teeth. While it is an entirely new layer of material on the tooth, it requires the same methods of treatment as any other tooth so flossing and brushing twice daily are an absolute necessity. Getting your cosmetic bonding at The Dental Center at Easton is one of the best ways to improve your smile. Call our Columbus Office today to learn more and set up an appointment!